Chop AERO Duo Big Bubble Bars and place in a heatproof bowl with espresso; set aside. Pour cream into small saucepan; heat until steaming. Pour cream mixture over the chocolate; let stand for 3 minutes. Whisk until smooth. Serve immediately. Serve with biscotti and fresh berries! 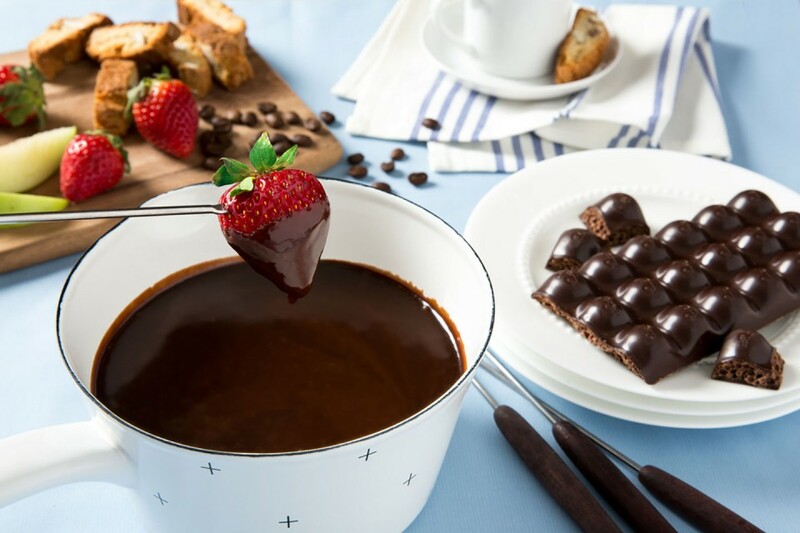 Experiment by dipping different foods in the fondue! We recommend trying marshmallows.